A little pop of handmade Etsy goodness as I wish for yellow tulips to arrive! 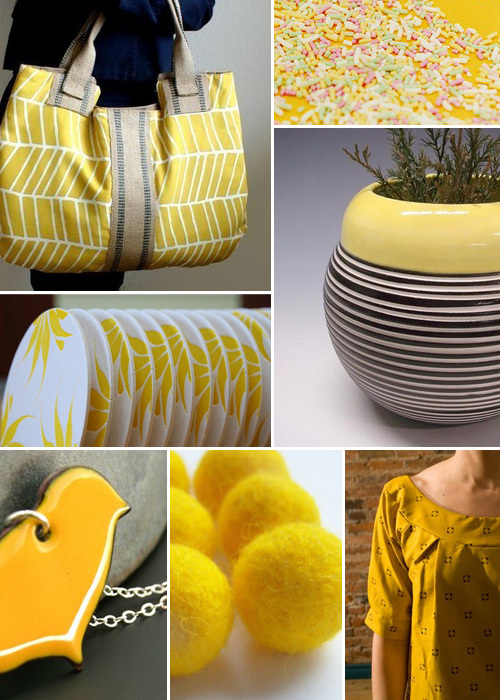 I love bright yellows. Janick, your post is a delight for my eyes. and this collection of yellows.